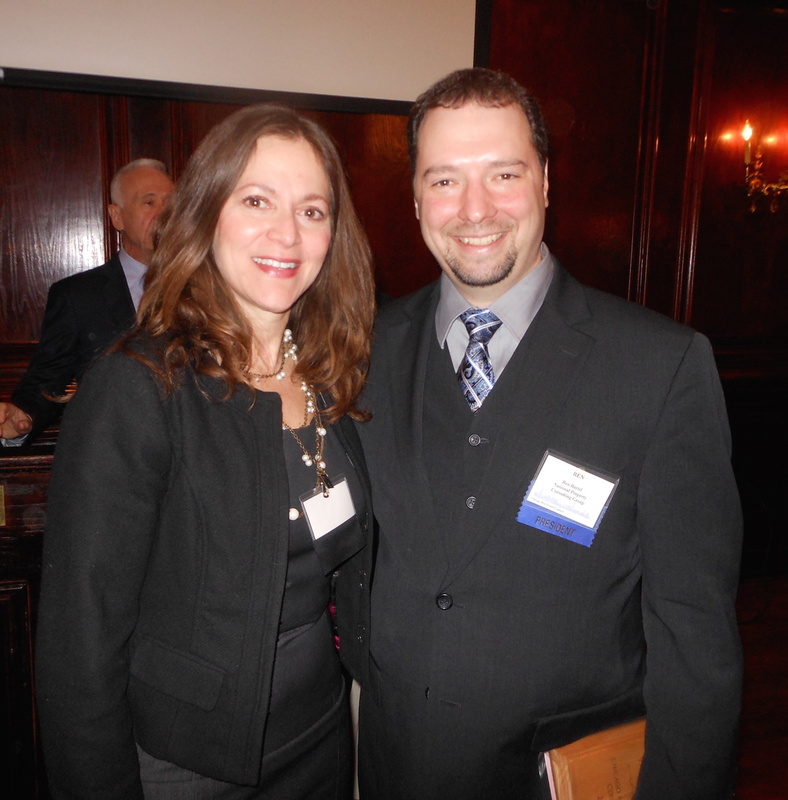 Over 150 commercial real estate professionals were in attendance on January 23 where Benjamin Bartel was announced as the 2015 President of the Chicago Real Estate Council (CREC). The event took place during the 2015 CREC Economic Forecast luncheon held at Maggiano’s Little Italy and featured speakers Robert Bach, Director of Research, Americas Newmark Grubb Knight Frank and Robert Kramp, Senior Vice President, Americas, Midwest and Great Lakes Regional Director at Jones Lang LaSalle. This was a joint session with the Certified Commercial Investment Member (CCIM) Chicago Chapter. A member of CREC since 2007, Mr. Bartel is also a Partner in National Property Consulting Group, LLC (NPC) and currently serves as a Principal Mechanical Engineer in the company’s Chicago branch office. For nearly 15 years, Mr. Bartel has been providing engineering and energy consulting services for many commercial real estate clients including Cabot Properties, HEI Hotels and Resorts, and Thayer Lodging. With an impressive list of technical accomplishments which spans over 700 small to large-scale projects, Mr. Bartel has developed considerable experience performing Property Condition Assessments, specialty mechanical/electrical/plumbing assessments, Energy Audits, green or sustainable building consulting, construction loan monitoring/draw reviews, and accessibility compliance assessments (ADA). Established in 1949, the Chicago Real Estate Council (CREC) is one of the oldest and most established real estate networking groups in the country. With over 200 current members, CREC is composed of a broad and diverse group of Chicago’s real estate professionals and features monthly luncheons as well as social, educational, and charitable events. CREC participants can look forward to the February 20 luncheon event, which is open to members as well as non-members. “We have a Chicago all-star industrial panel event featuring Matt Goode from Venture One, Cary Goldman from Sitex Group, and Mike Powers from Molto Properties and will be moderated by Ted Staszak with CBRE,” concluded Bartel. For more information about this event, please visit www.chicagorec.org. For more information about this panel discussion, please contact Ben Bartel, PE, CEM, LEED AP, Principal, at [email protected] or 847-421-6120.